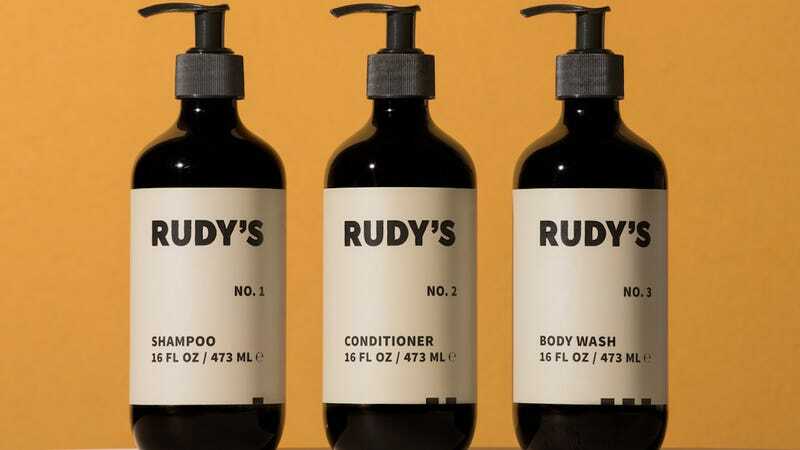 Rudy’s latest trio of products includes shampoo, conditioner, and body wash, sold as 16oz pump bottles or 1oz travel tubes. The set is sulfate and paraben-free, and the three share pleasing notes of juniper, citrus, and cedar- no competing scents here. The 1-2-3 offerings are intended for all genders, hair types (including color treated), and skin types (including sensitive). Basically, if you don’t have a problem that requires a specific product to resolve, you’ll be happy with this trinity. We’re not here to tell a “brand’s story,” but we love that for each bottle of 1-2-3 sold, Rudy’s donates a week’s supply of that product to homeless LGBTQ youth. Rudy’s shares founders with the Ace Hotel chain, and they’ll be stocking the minimally-designed 1-2-3 in all their showers. I’ve been using 1-2-3 for a few weeks, and had a few friends test as well for good measure. All three products smell amazing, look great in the shower, lather well, and the conditioner in particular is impressively moisturizing. We’ll be checking out their shower bombs and new pomades in short order, and we’d love to see a face wash and shaving cream join the lineup. I also got the best haircut I’ve ever had at their barbershop on 29th Street in NYC.